I've traveled all over the Globe and have traveled at many no-frills properties. This place was the worst. It took an hour for someone from the motel to let us in. The room was not what they said and we were charged so much more than advertised on Booking.Com. DO NOT GO! The evening meal and drink was far better than that suggested on Booking, and in addition the breakfast was also very good. Here again ! Lovely restaurant for breakfast and dinner. 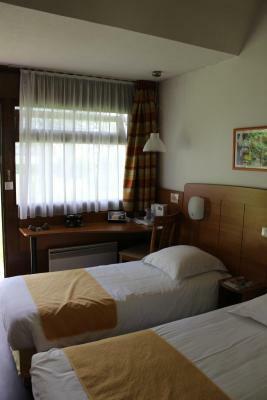 Easy to find and booked in quickly after a long drive back from the Alps. Staff helpful and polite. Basic hotel but easy access to the motorway. Great family rooms. The property was clean but looked tired and well used. 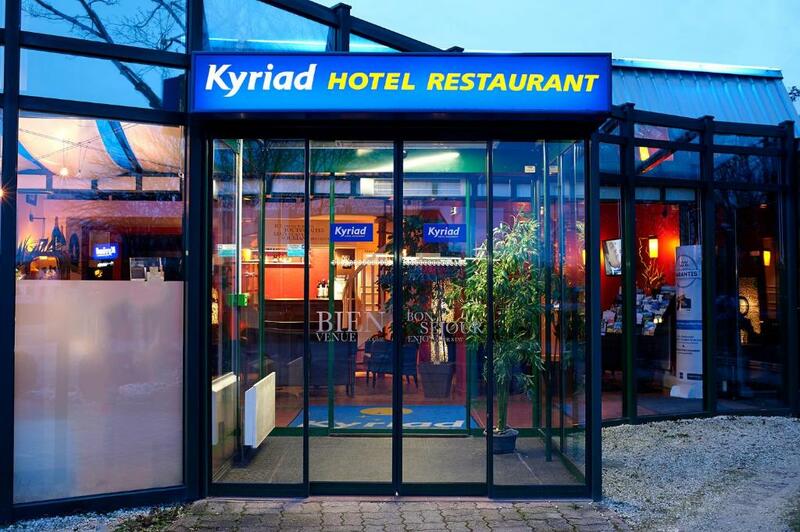 This Kyriad hotel is in Reims, 2,450 feet from Reims Exhibition Center. 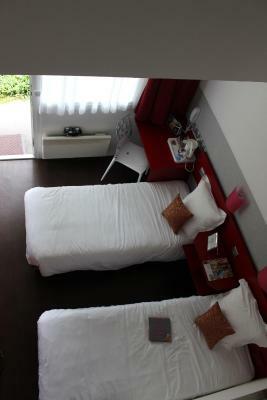 It offers rooms with attached bathroom with bath or shower, satellite and cable TV and free WiFi internet access. The restaurant serves modern and traditional French cuisine for dinner from Monday to Thursday, 19:00 to 20:30, in one of its 3 dining rooms. 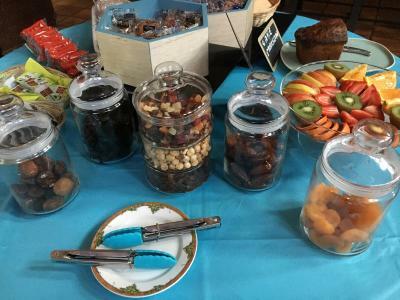 A buffet breakfast is also available each morning from 07:00 to 09:30. In the warmer months, meals can be enjoyed on the outdoor, shaded terrace. There is also a bar for an evening aperitif or a relaxing drink. Reims Convention Center is an 8-minute drive away. 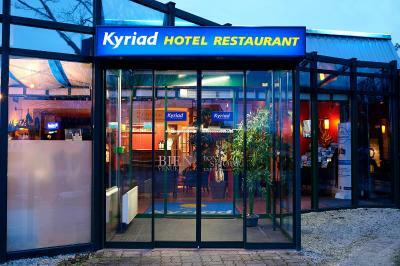 When would you like to stay at Kyriad Reims Est - Parc Expositions? 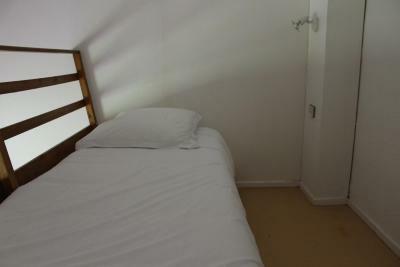 This room has a flat-screen TV with cable and satellite channels, free Wi-Fi and a bath or shower. 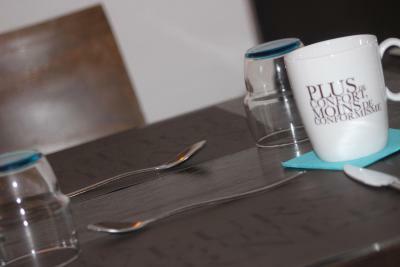 House Rules Kyriad Reims Est - Parc Expositions takes special requests – add in the next step! Kyriad Reims Est - Parc Expositions accepts these cards and reserves the right to temporarily hold an amount prior to arrival. Could have done with a towel rail in the newly referbished bathroom. Room 2 has had the bathroom refurbished, very nice, but the lack of a towel rail was a nuisance. Also, a wall or corner basket in the shower would have been very useful, particularly for a woman. 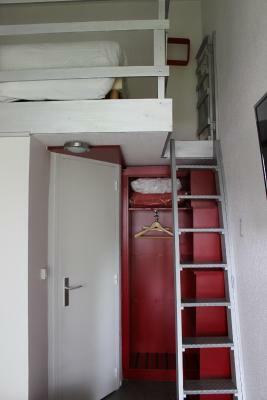 Rooms could be refurbished. Might be better having less choice but fresher produce at breakfast. The restaurant was unfortunately closed when we were there. An email letting us know before hand would have been helpful. Location was in what appeared to be an industrial area and the breakfast was poor and expensive. The bedroom was 'tired' and needed attention. The bathroom had a leak (from the toilet?) and there was water over the floor from the time we arrived, also a water stain on the ceiling. We did not like going 'outside' to go to the room. Was this a former Campanile hotel? I'm sorry to say this was the worst Kyriad we have ever visited in 20 years. We have visited Kyriads frequently and have never seen one like this. Heating not working. The breakfast was excellent. The staff were first class. Public areas very smart. This was the GOOD part!!! little bit shabby and dark on outside as we arrived late. Not that clean. Place was more cabin style and I wouldn't call it a hotel. Extremely hot with no air-conditioning. Very small cabin. Old furniture. Not a lot really... Staff were quite polite though.